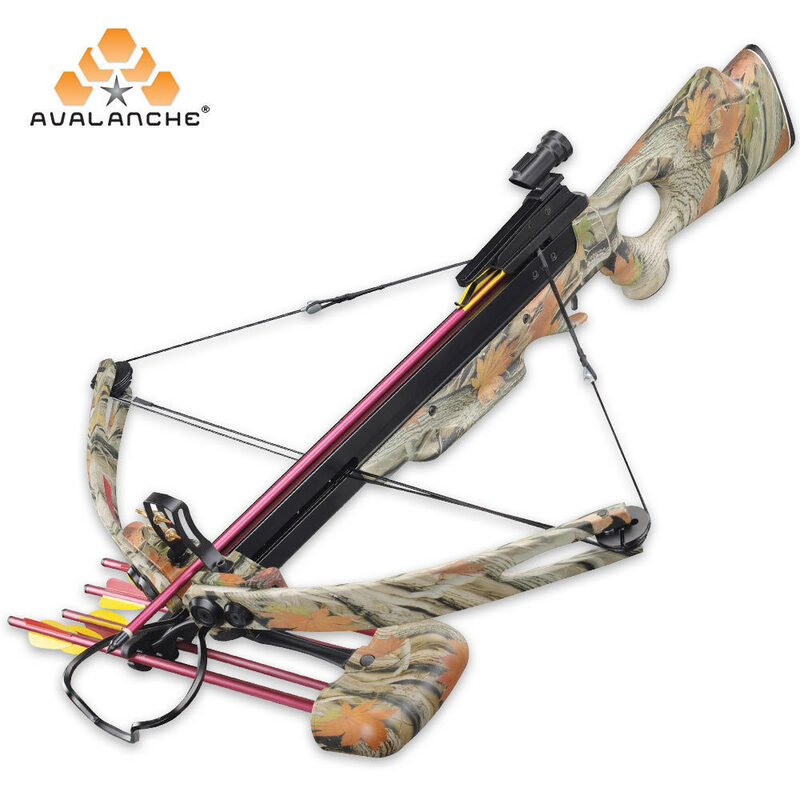 Crossbow 150lbs Compound Autumn Camo | BUDK.com - Knives & Swords At The Lowest Prices! Bolt arrows at high speeds with this easily cocked crossbow! This model features a new trigger that prevents dry-firing crossbow when no arrow is loaded on the flight deck. Without loading the arrow on the flight deck, the safety can’t be released. This crossbow shoots arrows with 150 pounds of pressure. It’s still lightweight and accurate, but for the more skilled crossbow master. 248 fps, 12 ½” power stroke, 7.37 pounds, 36” in length, 28” wide, fiberglass with aluminum barrel, and 20” aluminum bolt recommended.